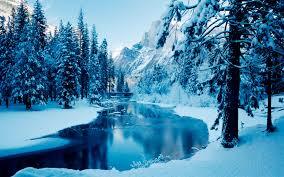 For growing health and increasing the vitality of human body, winter season is regarded as ideal in Ayurveda. If we try to follow a good regimen in winter season, then our body can become very healthy, strong, well-shaped and powerful for the rest of the year. In Biovatica, we discuss season friendly regimen so that by giving you appropriate and necessary guidance we can help you in your efforts. Among all the seasons, only winter season is such a season in which we get the help of nature in improving our body and health conditions. This situation is not available in rain and summer hence we should not make in mistake in taking advantage of this opportunity.  In this season the heat of the body – due to the fury of the cold and the touch of chilly winds – stays inside the body, grows and becomes stronger. The same thing is said in the shlok nine of chapter six of sutra sthan in charak sanhita . And also explained in shlok nineto twelve of chapter six of sutra sthan in sushrut sanhita. This is the reason why health of the people of cold countries is mostly good. Our country India is a warm country in which cold weather is for a limited time and is available only in the winter season so we should not let this season go unutilized.  Second thing is that the nights are lengthier in this season in comparison to other seasons. This gives extra time to body for taking rest and digesting the meal so that the food is digested properly and completely. When this impetuous digestive fire doesn't get the sufficient fuel (heavy and nutritious meal) to match its power, then this digestive fire starts to destroy the first mineral of the body i.e. ras which then causes the disturbance of vata , or air.